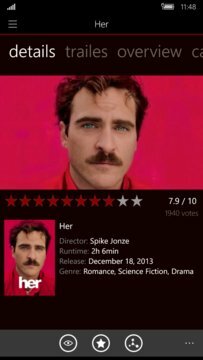 Movie Tonight gives you an intuitive and unique way of discovering new movies. Go throught a few fun steps or browse throught popular, top rated, movies in theaters and others. Watch trailers, read reviews, create watchlists, rate movies and find out the details about your favourite actors and directors. Looking for a movie to watch, but can't really decide? Or maybe you want to know what will be playing in theaters in a few days? We've got you covered! Just relax and we'll find something for you. 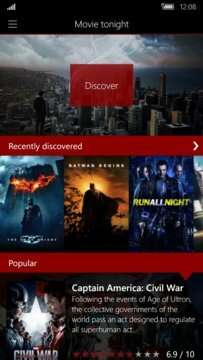 Movie tonight is the best app for all movie lovers!